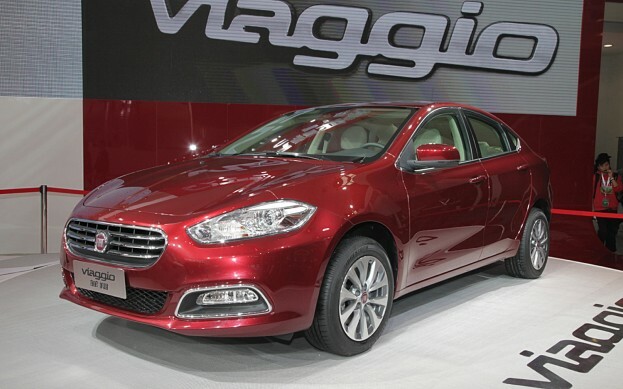 Fiat unveiled its all-new C-segment saloon Viaggio at the 2012 Beijing Auto Show today that’s based on Dodge Dart, which is in turn based on Alfa Romeo Giulietta. The automaker translates to voyage in English and the vehicle that’s lovechild of Chrysler-Fiat relationship and will soon be marketed in China. It features a 2708mm wheelbase, is 4679mm tall and 1850mm wide. It is much larger unlike the Honda City that measures 4440mm tall, 1695mm wide and gets a 2550mm wheelbase. To be propelled by a Tjet 1.4 liter in both 150 and 120-horsepower outputs, the all-new Viaggio might be available with more powerplants in other nations. 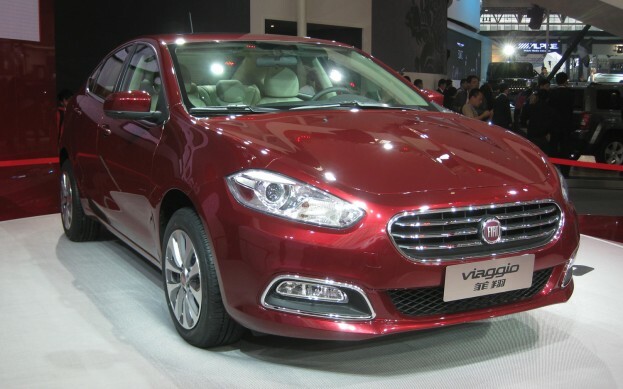 The big news is the introduction of the company’s newest DCT (Dual Dry Clutch Transmission) that will make the 2013 Fiat Viaggio technically one of the most sophisticated vehicles in its class. The interior of 2013 Fiat Viaggio gets a completely new design with soft touch materials, a dual tone trim and a driver centric dash. It is also equipped with 8.4 inch touchscreen radio navigation system. It has been designed in Torino by Fiat Group Style Centre and has a trademark Italian, clean surfaced exterior design, which combines strong proportions with curvaceous and fluid forms. The first vehicles will be designed and engineered from July and will be marketed in the 3rd quarter of 2012. Its size makes it fit for India launch and would also give the automaker a much required brand boost, something which it desperately needs at this point in time.